There’s nothing really quite like the holidays—so many parties, so much highly concentrated family time, and nonstop shopping, cooking and planning. It’s no wonder we desperately need a few days to recalibrate after ringing in the New Year. But where to go when relaxing is priority number one? 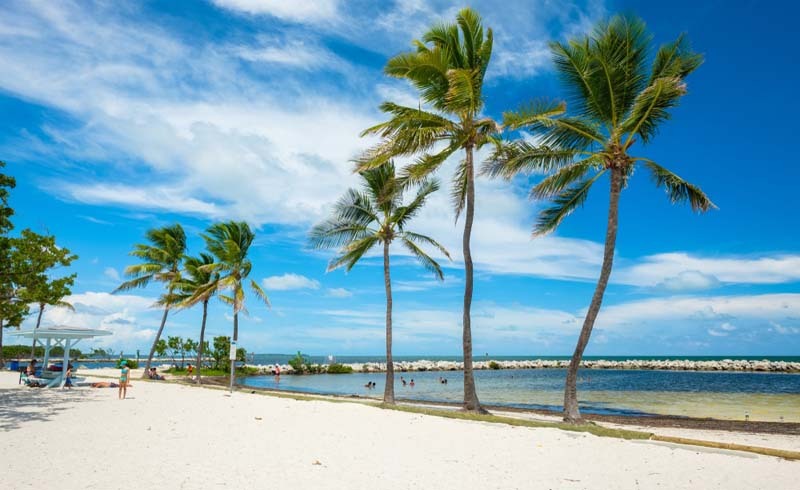 Given that Southwest Florida is reliably warmer than most places in the country, even in January, it’s a surefire win—and there’s no better place to unwind and unplug than The Beaches of Fort Myers and Sanibel. We know you don’t have a spare minute to even think about planning a trip at this time of year, so we did all the work for you. Here’s your itinerary—all you need to do is book. 1. 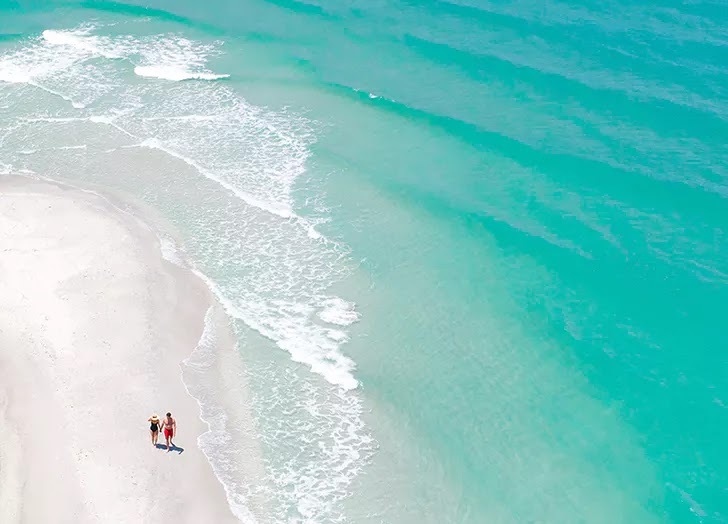 Stay on Fort Myers Beach, which offers the ideal vacation for any type of traveler, thanks to a seven-mile coastline with breathtaking views of the Gulf of Mexico and a bevy of activities to choose from. If you’re into don’t-lift-a-finger leisure, book a room in one of the many hotels in the area; for a more secluded stay, rent a private cottage for the ultimate solitude. You’ll find loads of lovely options here. 2. Looking for peace, quiet and natural, eco-friendly beauty? 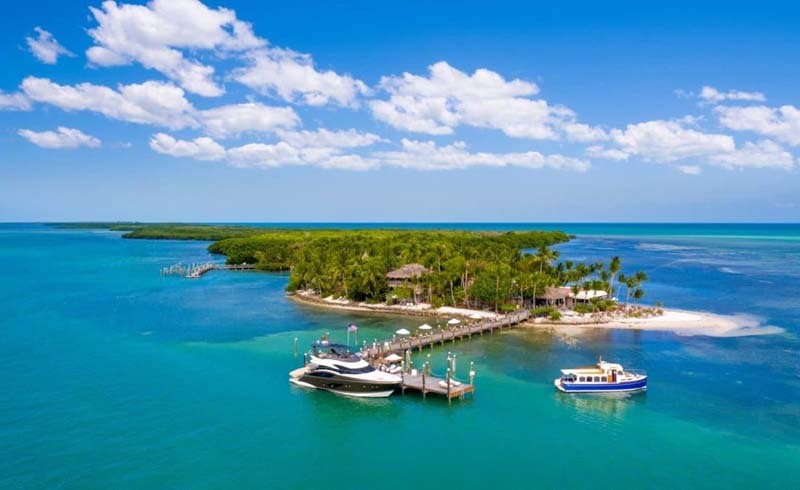 Head over to the aptly named Lovers Key State Park. This pristine haven will have you feeling relaxed (read: sprawling out for a nap on the beach) and somehow invigorated at the same time. You can fish, try stand-up paddle-boarding or simply walk or bike the five miles of trails. If you’re lucky, you’ll see wildlife such as gophers, tortoises, manatees and dolphins in and around the area’s backwaters. 3. 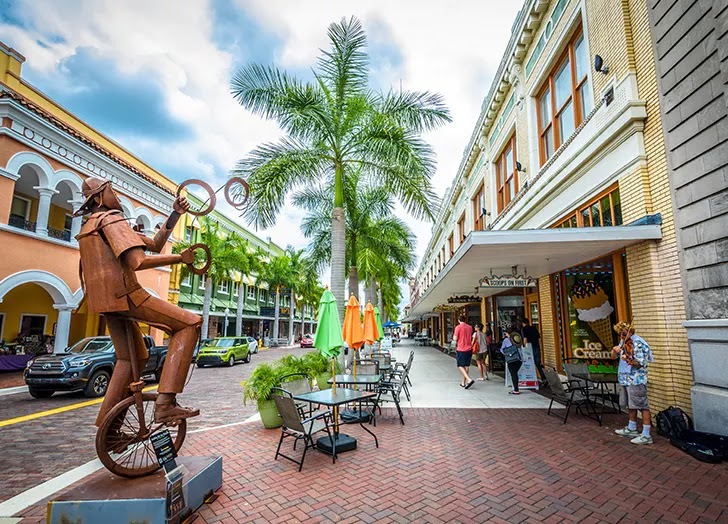 Take the phrase day date to a whole new level in downtown Fort Myers, also known as the River District. This vibrant neighborhood, with its brick-lined streets and old-city charm, is packed with boutiques, antique stores, funky shops, bars and incredible eateries, perfect for spontaneous fun. 4. Indulge in a wine-filled Italian dinner at Bruno’s of Brooklyn. (Pro tip: Order the arancini to start.) And speaking of dining, consider feasting at the other great eateries in town, like The Standard Restaurant for home-style American fare and City Tavern, a gastropub that boasts live local music. Plus, since you’re on vacation, you totally deserve dessert at the local ice cream parlor, Scoops on First. 5. If you’re visiting in February or March and you are baseball fans, prepare for the surprise of your lives: The Boston Red Sox and the Minnesota Twins both call Fort Myers their home for spring training. 6. Book a romantic sunset cruise to experience the Caloosahatchee River in the golden-hour sunlight with a glass of wine in hand. It’s as dreamy as it sounds. 7. 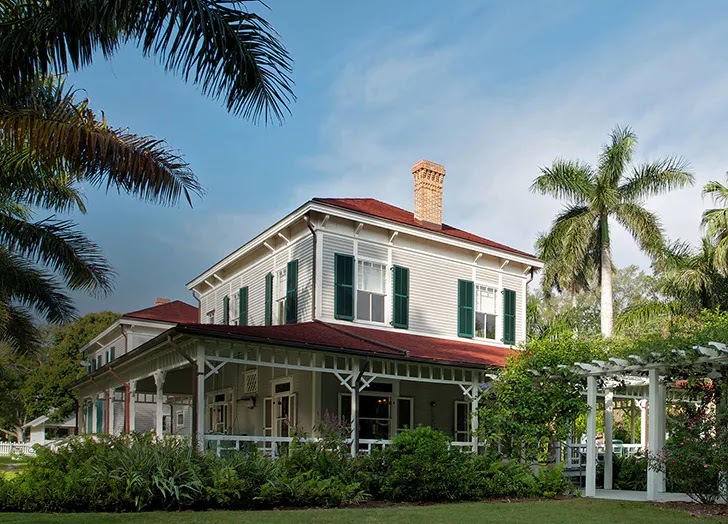 A little history lesson never hurt, so be sure to stop by the Edison and Ford Winter Estates. Apparently, Thomas Edison and Henry Ford were such good friends that they built their winter homes right next to each other (bestie goals, right?). You can tour the estates, stroll the 20 acres of gardens, check out the Edison Botanic Research Lab and view thousands of artifacts related to these two inventors and their friendship. 8. 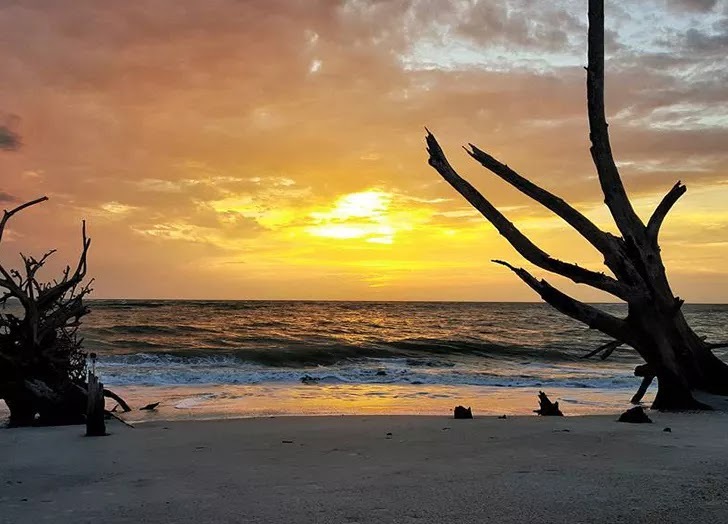 Connect with each other—and loads of birds and sea creatures—while kayaking the Great Calusa Blueway, a 190-mile paddling trail you can access at any of 80 points in Southwest Florida. You may see mullets, gulls, snooks, manatees, ospreys and, yep, even dolphins at play as you paddle peacefully through the water with your partner. 9. Part of the beauty of being on vacay and being in love? Feeling like a kid again! 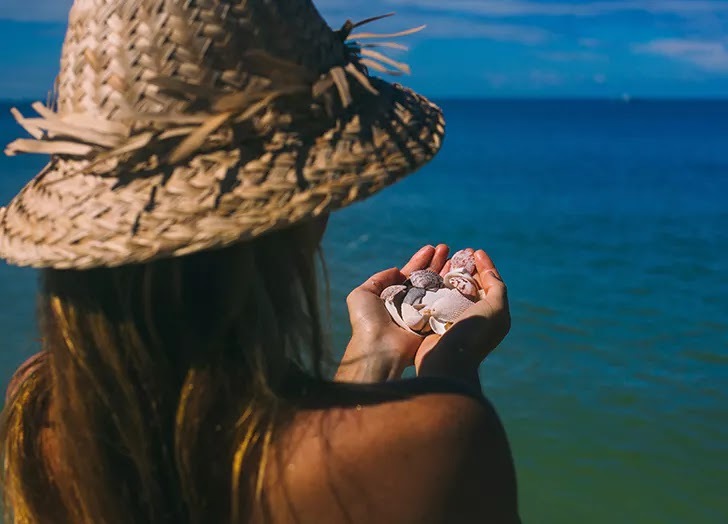 Sanibel is one of the best places to find seashells in all of North America because its beaches, like famed Bowman’s Beach, are covered with conchs, sand dollars, clam shells and many other treasures. Grab a bucket or bag, crouch down into what’s called the “Sanibel stoop”—the stance people take to pick up shells—and find some natural keepsakes. If you need some collector’s inspo, head to The Bailey-Matthews National Shell Museum. 10. Want to get back to nature? The seriously popular J.N. 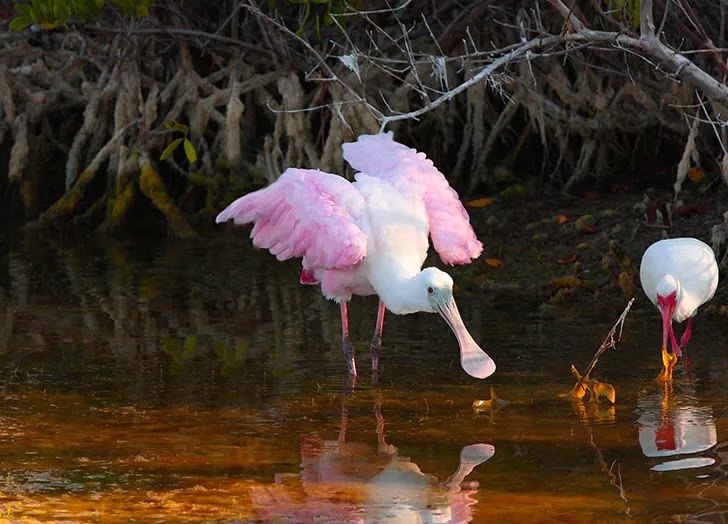 “Ding” Darling National Wildlife Refuge on Sanibel Island will let you get up close and personal with all sorts of furry (and not-so-furry) friends, from birds and otters to dolphins, manatees and alligators. Just prepare for one of those “Are we ready for a pet? !” conversations to follow. 11. Soak up all the saltwater vibes you can while escaping the cold. Go fishing, rent a WaveRunner or go parasailing. If you’re feeling very 1950s romance movie, rent a boat, grab a bottle of Champagne and sail out to your own personal sunset. 12. Get island-y for lunch and an afternoon cocktail. 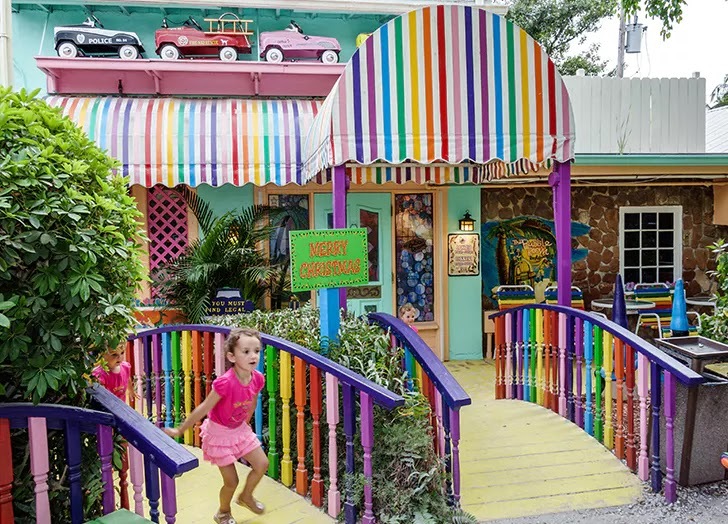 The Caribbean-style Doc Ford’s Rum Bar and Grille is a perennial favorite, while Sanibel’s family-owned and operated The Island Cow serves award-winning meals and has outdoor games, a fun atmosphere and live entertainment for daiquiri-fueled dancing. For something more low-key, pop over to Thistle Lodge for beachfront dining. 13. If the holiday season wasn’t enough for you, stop by The Bubble Room on Captiva for a Christmas-on-repeat experience. It’s worth visiting just for the spirited decor alone: The place is packed with antique toys, bubble lights, Santa decorations and old Hollywood nostalgia. The food is pretty awesome too. 14. If your idea of romance is enjoying comfortable silence together, seek out the Florida version of a reflecting pool, stat. 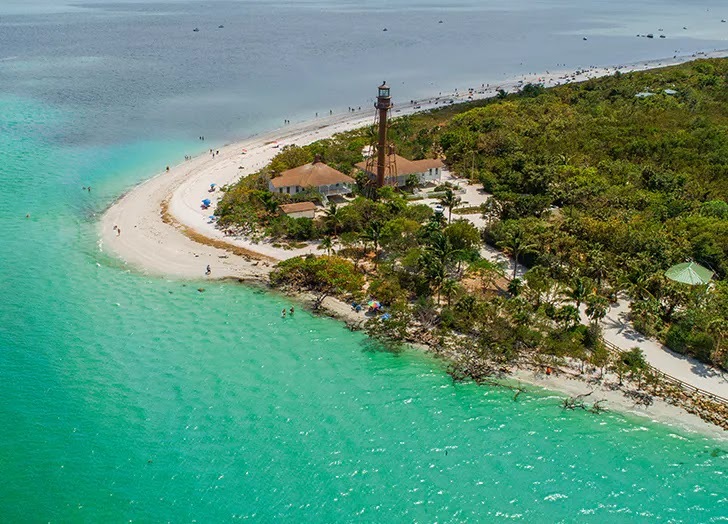 Visit the Sanibel Lighthouse, situated on the eastern tip of the island. Built in 1884, this historic landmark offers the perfect amount of serenity. 15. 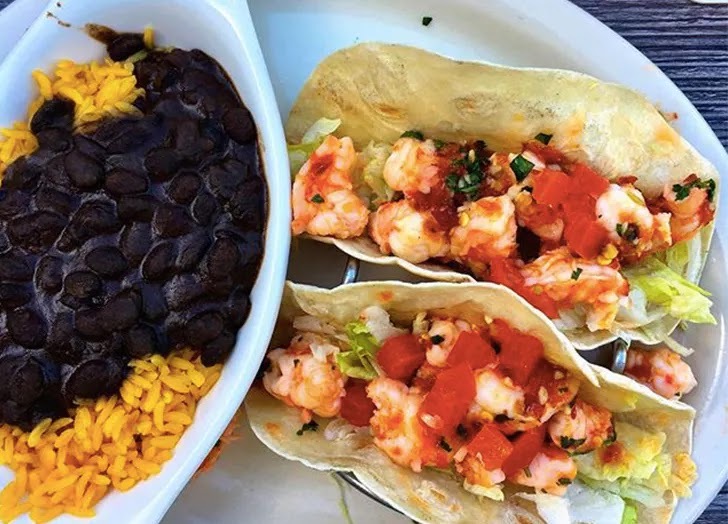 No visit to The Beaches of Fort Myers and Sanibel is complete without a stop at the Cabbage Key Inn and Restaurant. Hop aboard a water taxi (no cars allowed!) and head to the open-air restaurant built on a Calusa tribe shell mound. Legend has it that this place inspired Jimmy Buffett to write “Cheeseburger in Paradise.” With its festive, laid-back vibe, gorgeous views and thousands of autographed and dated dollar bills taped to the walls, we totally believe it.